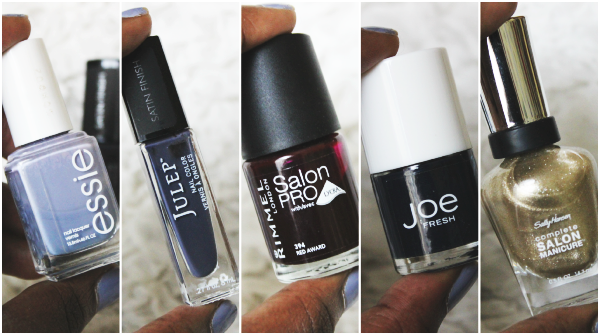 You guys already know that I’m a nail polish addict, so I thought I’d show you a few colors that I’ve tried out recently. 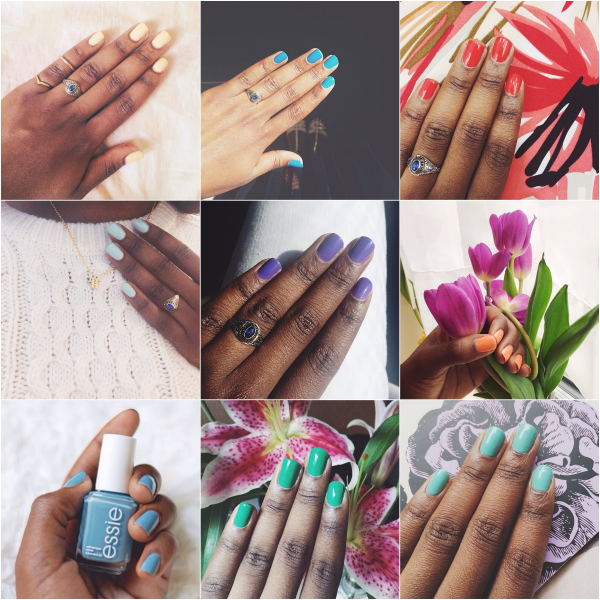 I paint my nails one or two times a week and I usually document it all on instagram. As we’ve moved from spring to summer, I’ve transitioned from the pastels to brighter, bolder colors. I used to be all about the nail art, but in the past year or so, I’ve found myself preferring a manicure in one single solid color. Tell me: What’s your go-to color for summer? Thank you guys so much for your positive feedback on my first video. It was really fun to try something different and learn a few new skills. Also, that first one was quite a long one, so an extra-big thanks for taking the time to watch it! As promised, my second video is a lot shorter and in it I’m sharing my manicure routine. 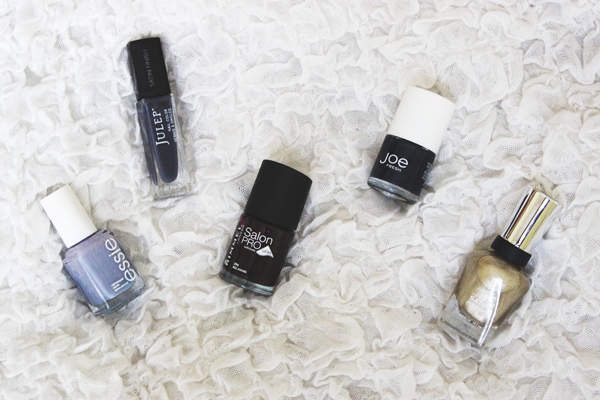 Those of you who’ve been reading my blog for a while will know that I’m a self-professed nail polish addict. I’ve always loved painting my nails, even as a kid. Here’s the story- my sister and I weren’t actually allowed to wear nail polish until we were 16. I found this rule very hard to obey, so we would sneakily ‘borrow’ our mom’s nail polish and paint our nails in our room. Once my mom spotted the color on our nails, she made us take it off, but then a couple days later we’d be back to our nail-painting antics. I’m guessing that part of the reason I fell hard for nail polish was the fact that it was sort of forbidden! 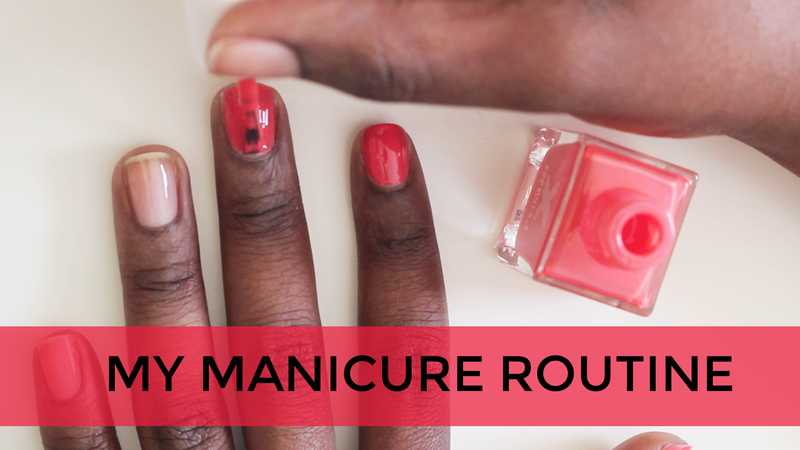 Over the years, I think I’ve gotten relatively good at painting my nails, so I thought it would be fun to make a video showing you my routine and the products I currently use. I hope you enjoy this and I’d love to hear about your go-to products for painting your nails in the comments below. Also, a while back I wrote about how I planned to organize my growing nail polish collection, so maybe I could do another little video on that if you’re interested?